Notice: This is an old thread. The last post was 2424 days ago. If your post is not directly related to this discussion please consider making a new thread. Sheep milking is widespread throughout the Mediterranean, and is becoming more common in countries such as the UK, USA, Central America, South Africa, Australia and New Zealand. Good nutrition is a critical factor in optimising dairy production from sheep. This book is a translation of a popular Italian text, originally published in 2001 and includes updated information, and new material on temperate regions. 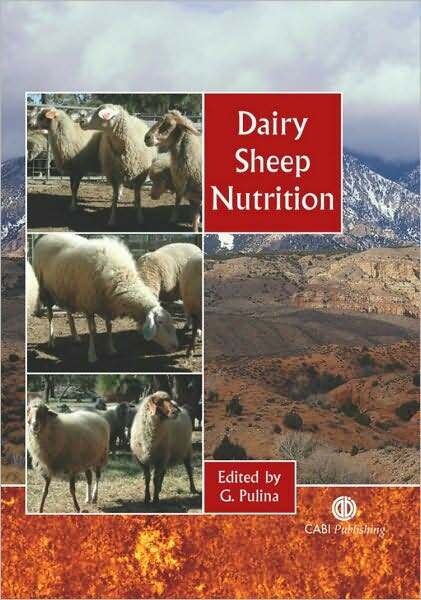 It contains chapters on all aspects of dairy sheep nutrition and feeding, such as milk production, feed intake, nutrition and reproduction, nutrition and milk quality, and grazing and stocking rate management. Last edited by Motoko; 3rd September 2012 at 11:00 PM. Reason: ADD INFO, IMAGE, DESCRIPTION. TEMPLATE. Last edited by Motoko; 4th March 2013 at 04:05 PM. Reason: UPDATE.